The 9640A generates a pure sinusoidal signal with extremely low harmonics, spurious and residual modulations. 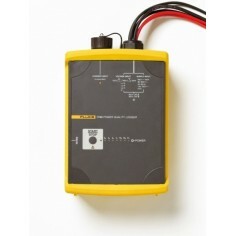 This ensures that level accuracy will be maintained when you make measurements with wideband or narrow band detectors, or when the 9640A is intercomparing peak and RMS sensing instruments. You will avoid differences between the wideband/ narrow band and peak/RMS sensors, without requiring additional filters. The importance of low phase noise on signal sources is often overlooked. 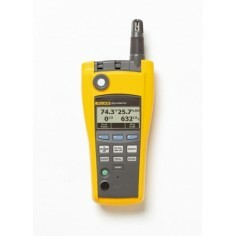 The phase noise profiles of the Fluke 9640A are designed around the spectrum analyzer workload; the 9640A suits the vast majority, while the 9640A-LPN is capable of verifying the most demanding spectrum analyzers. Use the low phase noise specification to measure spectrum analyzer phase noise, close-in response and residual FM. Previous systems typically used two low noise signal generators to cover close-in and far-out measurements, or simply didn’t cover the far out (>100 kHz offset). Now you can handle both with a single 9640A-LPN. 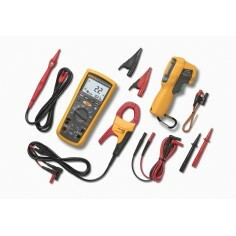 Calibration often involves use of several popular signal sources spanning a wide range of frequencies. Some of the most popular signal sources are now obsolete. You would normally need three signal generators, plus a power meter and sensors, to cover the entire frequency range of today’s workload with the required accuracy. Whether your RF calibration workload has a frequency bandwidth of 4 GHz or 40 GHz, the Fluke 9640A handles the broadest portion of the RF calibration procedure in a cost effective solution. A rugged, precision leveling head delivers the 9640A signals directly to the unit under test, minimizing losses, noise and mismatch errors, and maintaining the integrity of low-level signals. The head maintains signal precision and noise immunity throughout a 154 dB dynamic range, down to the very lowest levels at -130 dBm. The leveling head reduces lead changes from 25 to just 5 during a typical calibration, extending unattended times in an automated system and reducing connector wear. By integrating signal leveling and attenuation within the leveling head, the 9640A eliminates the need for separate, step attenuators, simplifying automation and reducing cost of ownership. It also eliminates the need to use an external power meter and sensors to characterize the output at different frequency and levels. VSWR and mismatch errors are often the dominant source of measurement uncertainty in RF applications. Connecting the leveling head output directly to the load minimizes transmission line length and VSWR degradation due to cabling, allowing the full potential of its accuracy specifications to be realized at the load across the entire frequency range. The standard 9640A and 9640A-LPN models are supplied with a 50 Ohm leveling head and the models have additional 75 Ohm leveling head. Mainframe and heads are calibrated together as a system. The 9640A Reference Source’s internal modulation capability makes it suitable for applications that require precision modulation to be applied to the output signal, such as modulation analyzer calibration and spectrum analyzer sweep time testing using AM methods. You don’t need additional function generators as a low frequency modulation source – the 9640A delivers it all. Frequency modulation is available at rates up to 300 kHz for applications such as modulation analyzer testing. Amplitude modulation is available at depths of up to 99 % and rates up to 200 kHz. RF applications often require a frequency sweep. The 9640A’s sweep functions simplify the application of manual legacy spectrum analyzer frequency response testing, as well as filter response. The HP 3335A Synthesizer/Level Generator, discontinued long ago, has been an essential component in many users" RF calibration systems. Until now, there have been few alternatives to match its level and attenuation accuracy. The 9640A RF Reference Source matches or exceeds HP 3335A performance, and has a GPIB command interpreter capable of emulating the HP 3335A in a calibration system (including 75 Ohm applications). Another long-discontinued instrument is the HP 8662A or HP 8663A low phase noise synthesizer. The 9640A-LPN is designed to match or exceed all HP 8662A/8663A performance and functionality within the calibration system. HP 8662 and HP 8663 GPIB command emulation is available as a “try before you buy” optional license key enabling on the 9640A-LPN. Either way, you can greatly simplify integration of the 9640A into an existing automated system. 1 MHz or 10 MHz, user selectable. Operating: 0 °C to 50 °C, 23 °C ± 5 ºC for specified performance. Detailed calibration report that states actual performance to specification. You can see actual performance data for your source, giving you much better uncertainties than if you relied on the guaranteed specification alone. All specifications apply to a 1 year calibration interval at a nominal calibration temperature of 23 °C. 433 mm (17.0 in) wide, 381 mm (15.0 in) high and 559 mm (22.0 in) deep. Mounts within industry-standard 483 mm (19 in) rack-mount frames when fitted with Y9600 rack mounting kit. *Notes: Fluke has extensively tested the command and functional emulation of the legacy HP 3335A and HP 8662A/8663A and will support customers in resolving any unforeseen difficulty. However, Fluke does not guarantee that complete emulation will be possible for all systems, software and procedures encountered. The 9640A cannot emulate the HP 3335A and HP 8662A/8663A simultaneously on the GPIB interface. However, testing has shown that many procedures and software can run successfully by manually switching the 9640A emulation personality at the signal generator lead change points.